A repeat offender with 27 convictions for 42 offences has been given a conditional discharge after he stole booze from a shop and was caught drunk-and-disorderly. Chesterfield magistrates’ court heard on October 3 how Wayne Stuart Thackray, 29, of Cauldon Drive, at Holme Hall, Chesterfield, stole alcohol valued at £9 from a Premier Store, on Derby Road, Chesterfield. He admitted to police that he went into the store and selected three bottles from the shelf to steal but he claimed he did it because the owner of the shop owed him money. The defendant, who has 27 convictions for 42 offences according to the court, pleaded guilty to the theft from July 6. 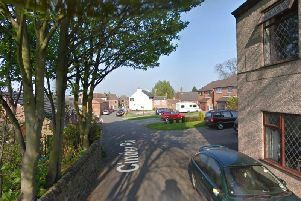 Thackray also admitted a separate offence of being drunk-and-disorderly at Moston Walk, Birdholme, Chesterfield, on August 14. Mrs Bickley said Thackray had been found drunk and shouting in the street after he had previously been taken home so he had to be arrested for being drunk-and-disorderly. The probation service stated that Thackray has shown poor compliance with the probation service but it is recognised that he has personal difficulties. Defence solicitor Denney Lau said Thackray has a lot of issues and he is vulnerable and finds it difficult to stay at his address which has no electricity and the property has been targeted by burglars. Magistrates sentenced Thackray to a 12 month conditional discharge but warned that if he re-offends in the next 12 months he will be re-sentenced for theft and the drunk-and-disorderly matter. He was also ordered to pay £9 in compensation.